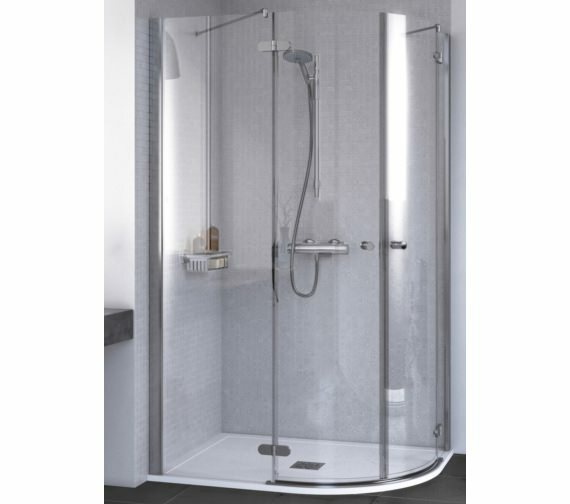 The Aqualux ID Match Round Offset Quadrant Shower Enclosure with its sleek, minimalist design would look great in any bathroom. 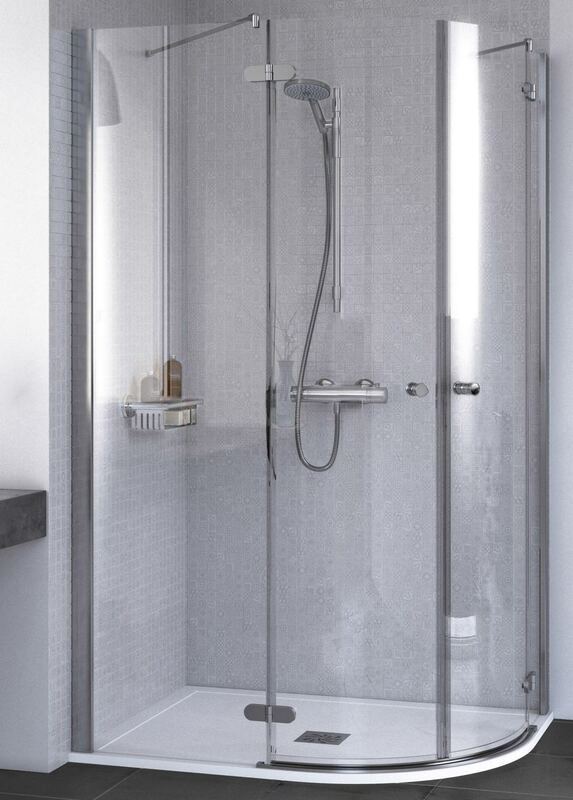 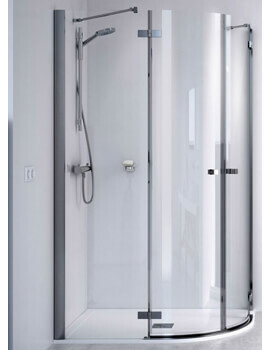 The Offset aspect of this piece which makes good use of the corners of the bathroom and the extended side in its profile offers the user a large showering area. 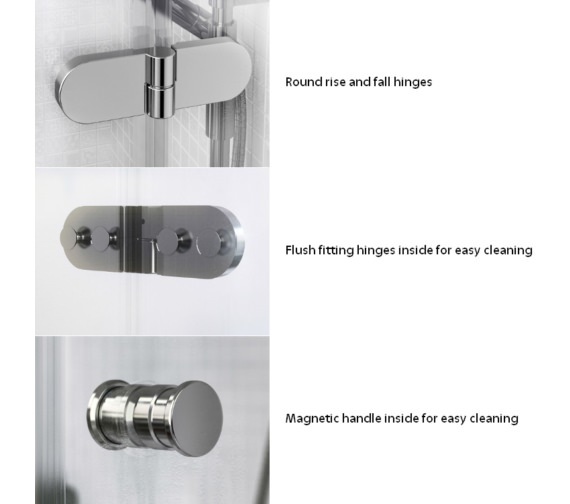 The easy-to-open door has magnetic seals, which help keep the door tightly shut when in use. 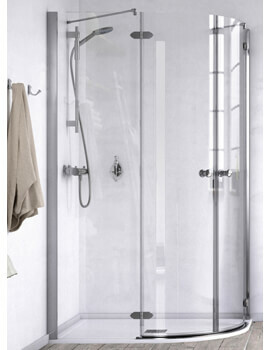 The solid brass chrome plated hinges and chrome finished handles add a touch of elegance. 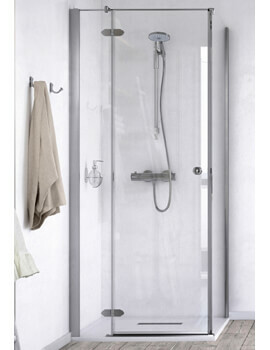 With the use of toughened safety glass in its construction, this enclosure is built- to-last. 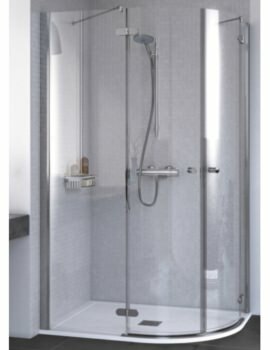 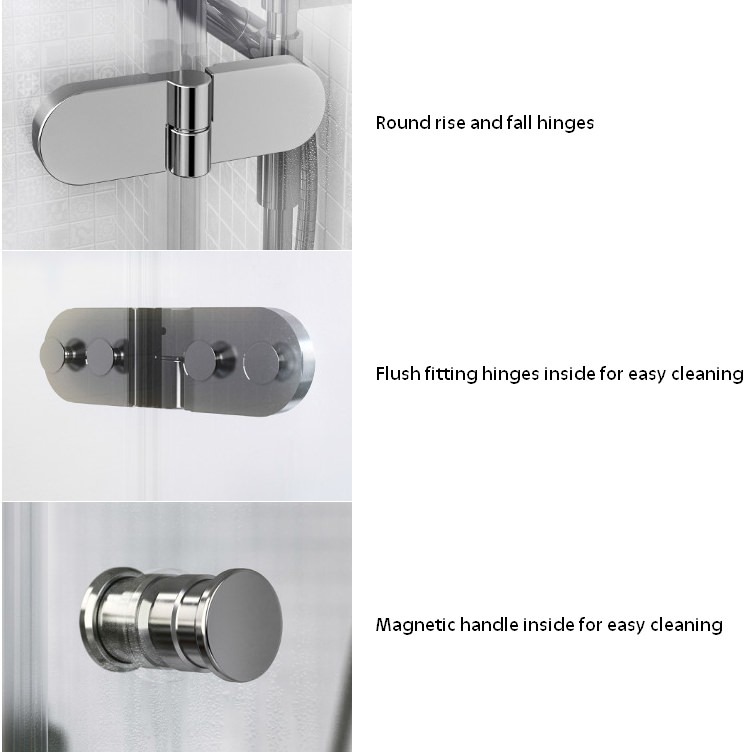 This set is treated with glass protection coating that resists limescale and water droplets to reduce the effort spent cleaning.